Open world zombie survival video games are always interesting and the goto gaming genre for all types of gamers out there. However, perfectly implementing a zombie survival video game is often called “the hardest task” for the game developers. 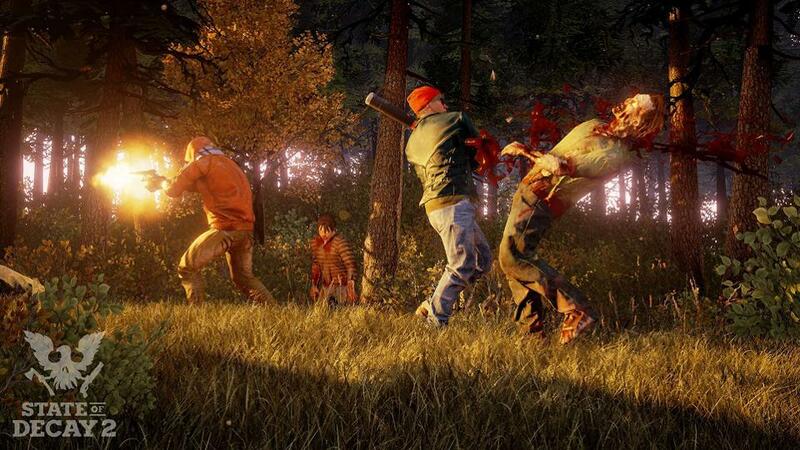 But, titles like State of Decay have always lived up to their hype and that’s exactly what happened in the case of the new State of Decay 2. In just two days after its global launch on Xbox One and PC, State of Decay 2 crossed over one million players worldwide. One thing that should be kept in our minds is that the number of players doesn’t necessarily account for the number of sales. State of Decay 2 is currently available on Xbox Games Pass and Xbox One’s game streaming service. Undead Labs and Microsoft shared that either from May 18 to 22, players have collectively played over 6 million hours of gameplay and streamed 3.5 million hours on Mixer, Twitch, and Youtube with 41,000 plus broadcasts. The “one million player count” isn’t only the impressive number though in the case of State Of The Decay 2. Within the game, players have butchered over 675 million zombies, thrown 6 million firecrackers and fireworks, crunched 6 million bags of snacks, read 2 million textbooks, and on average have survived for three in-game days. Even though, State of Decay 2 had a bit of a bumpy launch, earning mostly mediocre and okay-ish reviews due to the number of bugs. But the player count which is increasing day by day will definitely help the game to reach that success ladder. Previous articleXbox 360 Gets First Surprise Update In Years, Sony should take notes.